I am attorney John B. Holt. 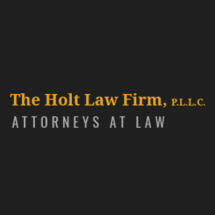 At The Holt Law Firm, P.L.L.C., in Springfield, Tennessee, I handle a wide range of civil legal matters large and small, from family law issues such as divorce, child custody and adoption, to personal injury litigation, including car accidents, slip-and-fall accidents and animal attacks. I have extensive experience in eminent domain cases involving governmental bodies that seek to take property without providing just compensation. I also draft, review and litigate contracts of various types. I help clients prepare and execute simple wills, as well as guide executors, administrators and personal representatives through the probate process. I take a results-oriented approach to civil litigation. My focus on positive results means many things to my clients. It means that I offer a high level of personal service: I listen carefully so that I can determine your goals and objectives. I take the time to learn the details of your case so that I can tailor my counsel to your needs. Meeting your needs is my top priority, no matter how large or small the issue at hand. My high level of courtroom experience helps me effectively handle all aspects of litigation, including informal investigations of the facts involved, filing preliminary motions, conducting formal discovery with depositions and interrogatories, as well as cross-examination of witnesses at jury trials. Each aspect of civil litigation is done thoroughly and completely so as to achieve the best possible results for you. My law office is located on the courthouse square, just across from the chamber of commerce. Contact me by calling my office at 615-382-2929. Civil litigation consultations are confidential and convenient.